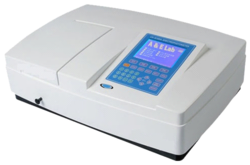 Providing you the best range of uv vis spectrophotometer, double beam spectrophotometer and spectrophotometer cell with effective & timely delivery. The precisely aligned detector and quality deuterium and halogen lamps enhance the precision across the UV/vis spectrum starting from190nm and into the near-infrared 1100nm. Online software upgrade capability via Internet(for stand-alone models). Real-time clock for date and time stamping of results. Large LCD display (320*240 Dots Matrix). 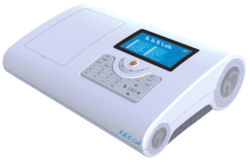 Supported by a team of highly qualified professionals, we have been able to manufacture and supply a broad range of Spectrophotometer Cell. These spectrophotometer cells are highly appreciated among our customers owing to their excellent quality and flawless finish. Available in diverse sizes, these spectrophotometer cells are widely used for measuring liquid samples in laboratory. Moreover, these spectrophotometer cells are manufactured using superior quality materials.